Rika Mashiko, "Fukushima evacuees’ rights at risk"
Having been born and brought up in Tokyo, Rika Mashiko used to be a capable business woman. She eventually fell in love with a man from a family conducting farming as a side business in a picturesque rural area. She married him and moved to Fukushima Prefecture, where his family lives. When she visited the kindergarten her daughter, her only child, was to attend and saw the ideal environment that gave full play to the splendors of nature, she began to love Fukushima from the bottom of her heart. She had no farming experience but was given charge of 1600 m2 of farming land. Her commitment to organic farming led her to go as far as to sell the vegetables she produced. When the disastrous earthquake occurred on March 11, 2011, Ms. Mashiko was in Miharu Town, Fukushima Prefecture, 50 kilometers west of the Fukushima Daiichi Nuclear Power Station. On March 15, the town government took the initiative in delivering stable iodine tablets, which are effective for reducing radiation exposure, to households. However, no instruction was provided about when to take them, and people had to make their own decision about whether or not to use them. Ms. Mashiko started to feel uncertain about the government’s handling of the nuclear crisis when her daughter’s primary school entrance ceremony was conducted on April 6 as if there had been no reactor accident or radioactive contamination. Worried about radiation exposure, children and their guardians wore masks on the way to school. However, children were not allowed to wear them during the ceremony. One day Ms. Mashiko sent her daughter to school with a water bottle to enable her to drink safe water while at school, but the school would not allow children to drink bottled water. Teachers instructed the children to drink tap water instead. Her daughter spent the whole day without drinking bottled water or tap water. I imagined how thirsty she must have been. Ms. Mashiko told her family that she had concerns about radiation exposure, but her husband and father-in-law were against voluntary evacuation, believing that the first son of a family should protect the household and take care of the family grave. 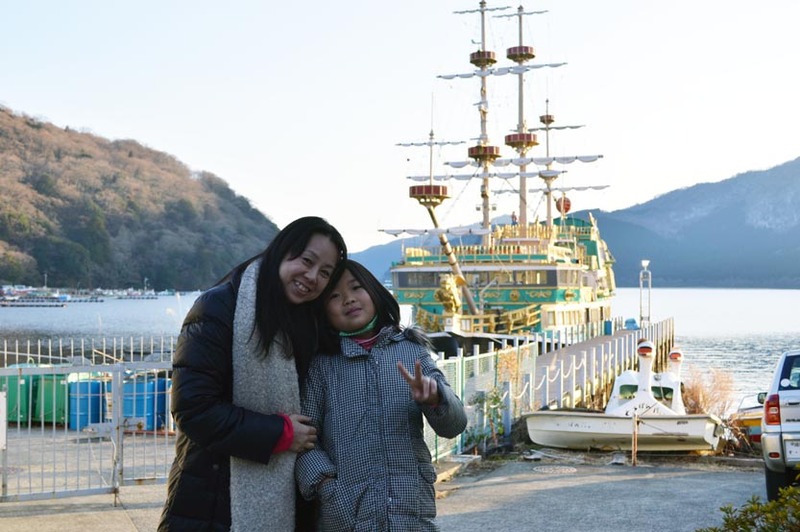 On May 10, Ms. Mashiko moved to Tokyo with her daughter. She later became acquainted with many people at such events as radiation prevention study meetings, and formed a network of evacuees. Today, 120 people are connected loosely through the network. “What I wanted was the feeling of having a bond,” says Ms. Mashiko about the network, smilingly. In January 2014, she established a group named Happiness Project for the Nurture of the Heart and Body, to provide evacuees with the support that she had found necessary through her exchanges with them. The project organizes a monthly health consulting gathering, inviting a pediatrician to attend, and is energetically committed to mental care for evacuees. It is suspected that the longer life in evacuation lasts the more the mother’s stress influences the growth of the child. The biggest problem that evacuees face today is that the system that has allowed them to rent housings for free will be abolished from March 2016. “Losing the house is losing the environment you live in. All the grounds of your life, including schools and friends, may be lost. This is not a monetary issue, but an issue of human rights. The rights of children as specified in the Convention on the Rights of the Child may be impaired. We would like people around the world to support us.” It was with these determined words that Ms. Mashiko concluded the interview.